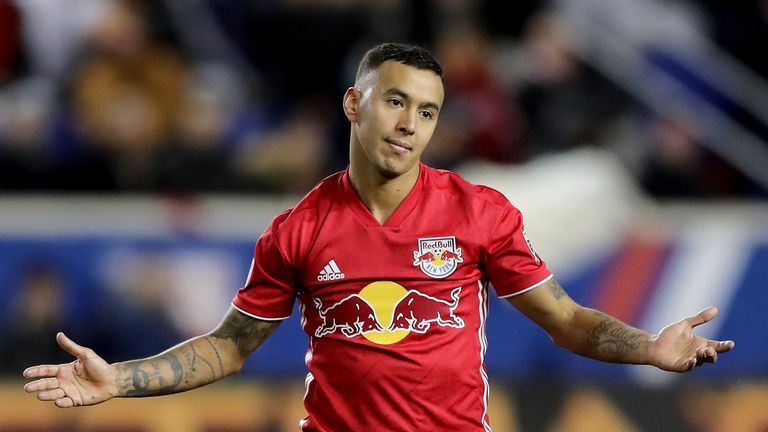 New York Red Bulls' Alejandro Romero was shown a straight red card for bizarrely striking the ball into the crowd from point-blank range on Sunday. In stoppage time during the Red Bulls' 2-2 draw with Sporting Kansas City, Romero, who is nicknamed Kaku, kicked the ball into the Kansas City fans in frustration after a late tussle with opposition players, before deservedly seeing red. Johnny Russell put hosts Sporting KC ahead after 24 minutes, before the Red Bulls turned it around late on thanks to goals from Daniel Royer and Brian White. But Gianluca Busio equalised with two minutes remaining for KC, before Kaku's late moment of madness.